Brad began his career at management consulting firm Bain & Co. Brad went on to management roles (sales/marketing and operations) in several successful businesses including Time Warner Cable, Loyalty Management Group, DLF Capital, and WildBlue Communications. He has helped raise over $250 million to fund start-ups including First To File, Springridge Development Corp, Flextrip and WildBlue. 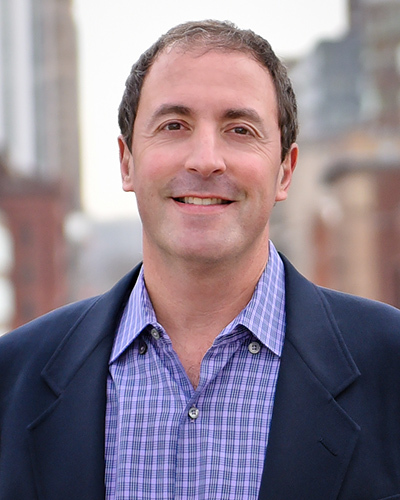 In 2010, Brad founded and currently serves on the Board of the marketing services firm Education Funding Partners (Regional Winner of the Harvard Business School New Venture Contest). Brad is an Adjunct Professor of Executive MBA Strategy and Entrepreneurial programs at the University of Denver’s Daniels School of Business. Brad founded the Denver Angel Club in 2009, and serves (or has served) on the Board of Directors for several non-profits including Colorado Public Radio, Oxfam America, Food Bank of the Rockies, the Jewish Community Foundation and Operation Frontline. Brad is the co-Founder and Managing Director of the Evergreen National Education Prize. Brad was named a Crown Fellow at the Aspen Institute in 2000 and received the 2006 SOS National Community Leader Award. Brad received a B.A. in Economics from Princeton University and an MBA from Harvard Business School. He resides in Denver, CO with his wife and 3 children.